Size chart 100% polyester wicking knit * Wicks moisture * Pad print label * Covered elastic w.. Size chart 11" inseam Athletic cut and s.. Size chart 100% polyester wicking knit * Wicks moisture away from the body * Full-cut * H..
LIMITED QUANTITIES ! Please call for availability !Size chart 100% polyester wicking smoo..
click here for Size Chart 100% polyester wicking knit * Wicks moisture away from the body * Pad p.. Size chart 100% Polyester moisture management/antimicrobial performance fabric Athletic cut and supe.. Size chart 100% Polyester moisture management/antimicrobial performance fabric 100% Polyester waffle.. Size chart 100% moisture management/antimicrobial performance fabric Contrast inserts with piping on.. Size chart 100% Polyester moisture management /antimicrobial performance fabric Athletic Cut Superio.. Size chart 100% Polyester moisture management/antimicrobial performance fabric Athletic cut & su..
click here for Size Chart 100% Heathered polyester moisture management/ antimicrobial performance..
click here for Size Chart 100% Polyester moisture management/ antimicrobial performance fabric. 1.. Size chart 100% Polyester mock mesh performance fabric. 7" inseam. 1 1/2" Covered elastic wais.. Size chart 100% Polyester mock mesh performance fabric. 9" inseam. 1 1/2" Covered elastic wais.. 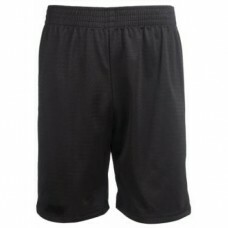 Size chart 100% Polyester, 70 denier mesh with solid tricot liner Athletic cut Superior fit Covered .. Size chart 100% Polyester, 70 denier mesh with solid tricot liner. Athletic cut Superior fit. Covere.. Size chart 100% Polyester, 70 denier pro mesh with solid tricot liner. Side entry pockets. Athl..